Universities face initial 14 days of escalating strike action if a row over changes to the Universities Superannuation Scheme (USS) is not resolved. Sixty-one universities would be hit with a wave of strikes and other forms of industrial action by UCU members expected to start on Thursday 22 February. Other action would include union members working strictly to their contract, which would see them refusing to cover classes or reschedule classes lost on strike days as well as refusing to undertake any voluntary duties. 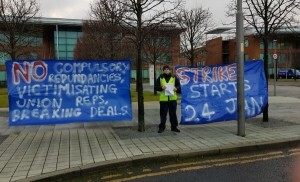 UCU said the first strikes would most likely start with a two-day walkout on 22 and 23 February. 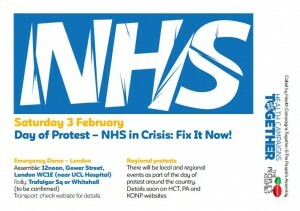 The action would then escalate to three-day, four-day and five-day walkouts in future weeks. Universities, such as Imperial and Edinburgh, with a reading week when action begins, would be allowed to start their action at a different time to maximise impact. The union said it would review its action and consider the next steps after those initial strike days if the dispute had not been resolved. The planned action has been announced after UCU members overwhelmingly backed industrial action. Overall, 88% of members who voted backed strike action and 93% backed action short of a strike. The turnout was 58%. A full breakdown of the results by institution is available here. 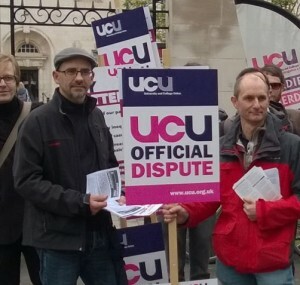 UCU general secretary Sally Hunt said: ‘Universities will be hit with levels of strike action not seen before on UK campuses if a deal cannot be done over the future of USS pensions. Members have made it quite clear they are prepared to take action to defend their pensions and the universities need to work with us to avoid widespread disruption. The latest round of talks on the future of USS are scheduled to finish tomorrow (Tuesday). Universities UK (UUK) wants to transform the scheme from a defined benefit scheme that gives a guaranteed retirement income to a defined contribution scheme where pension income is subject to changes in the stock market. Independent modelling of the proposals show that a typical lecturer would lose £200,000 in retirement if the UUK plans were imposed. Last week the vice-chancellors of Warwick and Loughborough universities broke ranks to criticise UUK for failing to guarantee retirement incomes for USS members. The union said it hoped that the overwhelming mandate for strike action would focus universities’ minds and that more vice-chancellors would publicly pressure UUK to agree a deal. UCU said it was happy for talks to be extended in an attempt to resolve the issue without strike action. The union said that two rounds of cuts in USS benefits since 2011 have already left USS members with pensions worth less than those of school teachers and academics in the sector’s other pension scheme, the Teachers’ Pension Scheme.